Philosophy for busy people. Listen to this succinct account of the philosophy of Rousseau in just one hour. In Rousseau we encounter a walking ego, a naked sensibility - his arguments are both deeply stirring and deeply inconsistent. Yet whilst his contemporaries Kant and Hume may have been superior academic philosophers, the sheer power of Rousseau's ideas was unequalled in his time. It was he who encouraged the introduction of both liberty and irrationality into the public domain, lamenting how 'man is born free but everywhere he is in chains'. 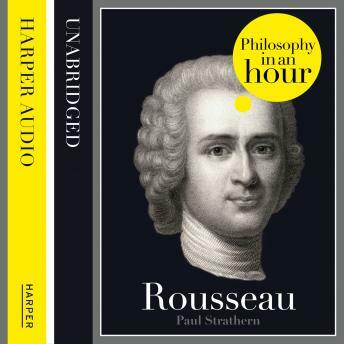 This audiobook is an expert account of Rousseau's life and philosophical ideas - entertainingly written and above all easy to listen to. Also included are selections from Rousseau's work, suggested further reading, and chronologies that place Rousseau in the context of the broader scheme of philosophy.